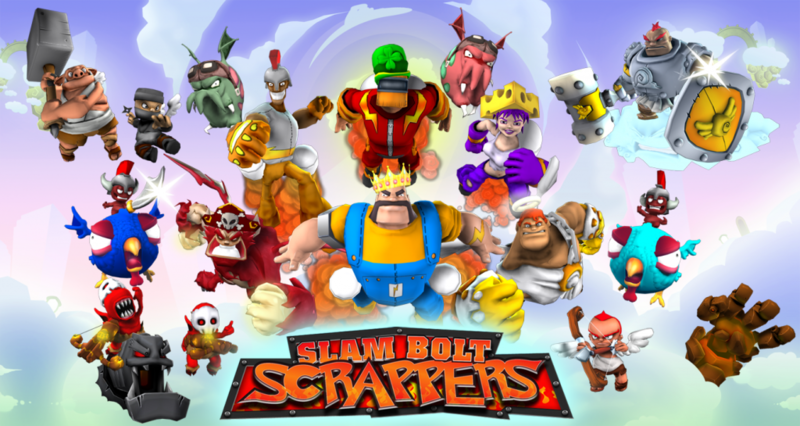 Local indie and PAX East mainstay, Firehose Games was in full glory showing off their first studio title, Slam Bolt Scrappers, a puzzler/brawler/tower defense title launching on PSN March 15th for $14.99. I was able to get my hands on the final version of the game, and although it certainly stacks up in single-player, the real fun comes with three of your friends. 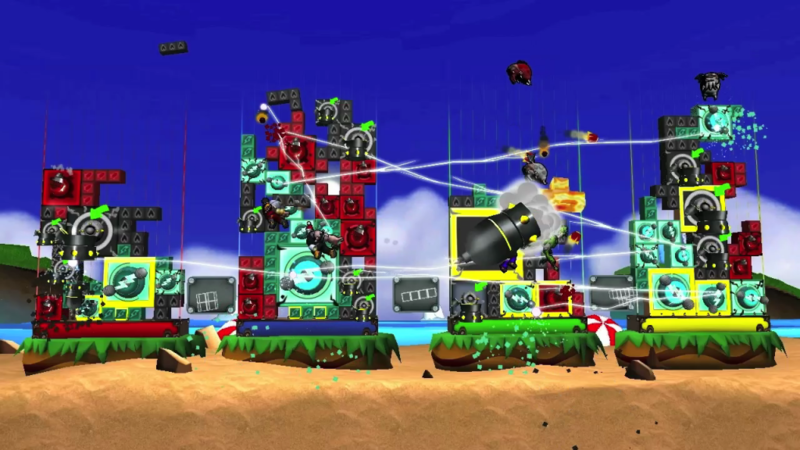 Supporting simultaneous play for four in either teams or free-for-all, each player or team frantically builds towers of same-colored blocks to form cannons and defensive structures. Players procure blocks from punching enemies or stealing them from an opponent, and once a tower is built, they automatically open fire on enemy structures. It’s fast, it’s fun, and it’s certainly worth the cost of admission. Previous: Is PAX the New E3?